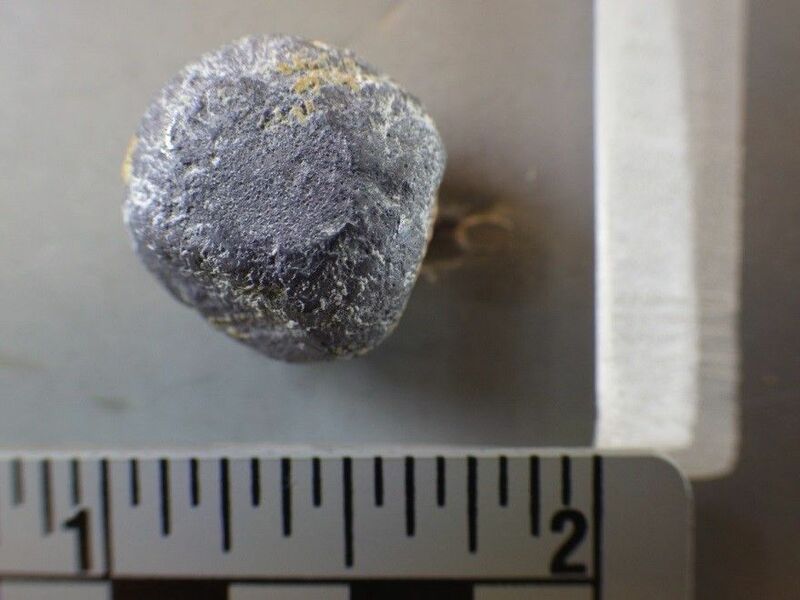 Archaeologists have discovered remnants of human blood on a musket ball discovered at Monmouth Battlefield Park in New Jersey, site of the June 28th, 1778, Battle of Monmouth. This is the first time human blood has been found on Revolutionary War artillery shot. The site has been excavated regularly for close to 30 years by the Battlefield Restoration and Archaeological Volunteer Organization (BRAVO). They’ve unearthed thousands of artifacts, including musket balls, but none of them showed any evidence of having struck anybody. 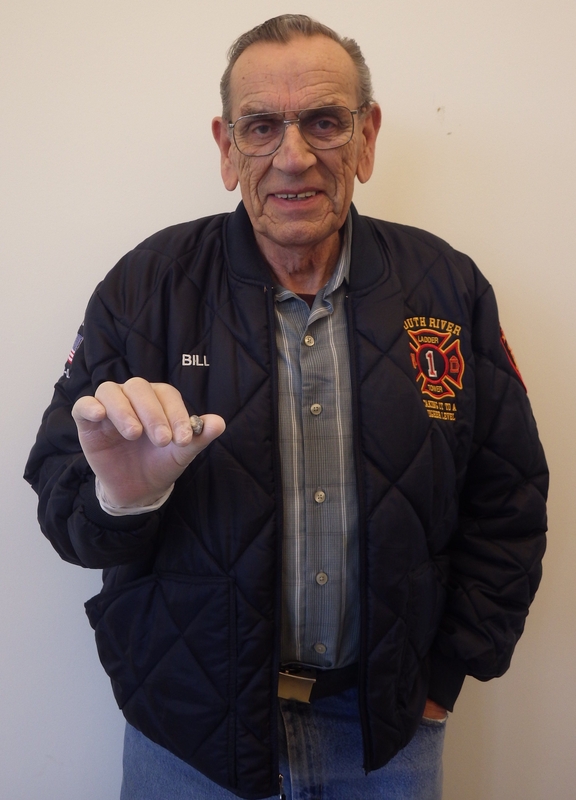 On April 16th of last year, BRAVO volunteer Bill Hermstedt found yet another musket ball. It was a piece of canister shot, one of multiple lead or iron balls packed into a metal canister and shot out of a cannon spraying the field with shrapnel. This one wasn’t like the many previous such discoveries. Battlefield archaeologist Dan Sivilich noticed upon close examination that there seemed to be an impression of fabric on the surface, perhaps made when the ball hit someone, tearing through his uniform. A second shot also appeared to have a possible textile imprint. In addition to being a battlefield archaeologist and president of BRAVO, Sivilich is an expert in musket and lead shot. He quite literally wrote the book about them — Musket Ball and Small Shot Identification: A Guide — so he knows a stand-out find when he sees one. BRAVO sent the two balls with fabric impressions and two other artillery shots of interest to PaleoResearch Institute, Inc. in Golden, Colorado for analysis. One of them, the musket ball, came back positive for proteins found in human blood. Fought between George Washington’s Continental Army and the British Army under the new Commander-in-Chief for North America Sir Henry Clinton, the Battle of Monmouth resulted in a stand-off, but in effect it was a significant victory for Washington because for the first time the rag-tag Continental Army had succeeded in a pitched battle against the larger, better trained and better armed British. 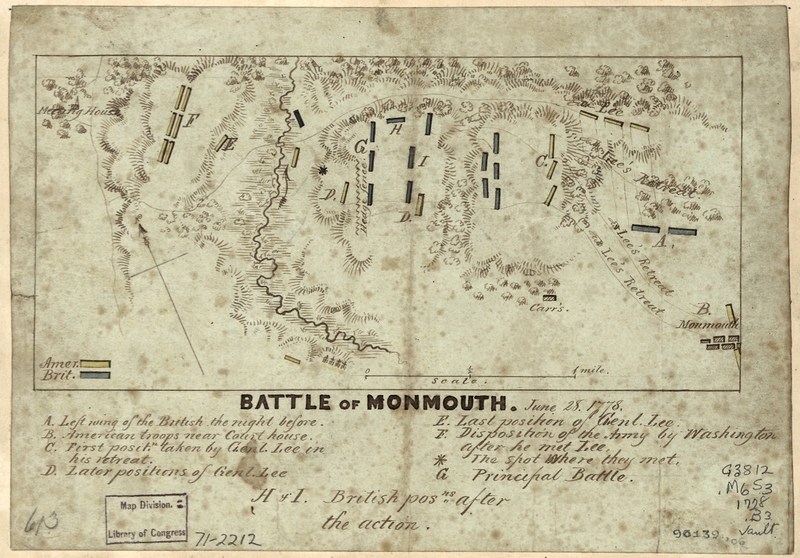 Fortified with French support and after a long, cold winter of constant drills and training in Valley Forge, the Americans finally proved themselves as a viable fighting force on the field at Monmouth.